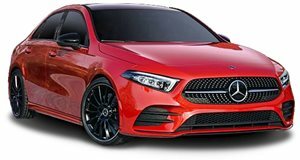 Mercedes-Benz has confirmed that not only will the US be getting the new A-Class, but we will also have four different body styles to choose from. This is welcome news, as the Germans are notoriously and maddeningly stingy when it comes to small cars for the North American market. No word on engines, but it would be reasonable to expect MB&apos;s 1.8-liter 201hp turbo four as at least one of the options. Rumor has it there will also be an AMG, let&apos;s hope.